Galaxy SII. It's a very solid phone, and I'm running a few emulators on it just now, plus some mobile games too. I'm looking to upgrade to the SIII during the summer, although if there's another phone out there that catches my eye I may just switch. I'm a glorified Iphone wanker and couldn't be happier. I wouldn't go for any other smart phone personally. iPhone 4S. Never used it for gaming, and Siri's a broken piece of dross. 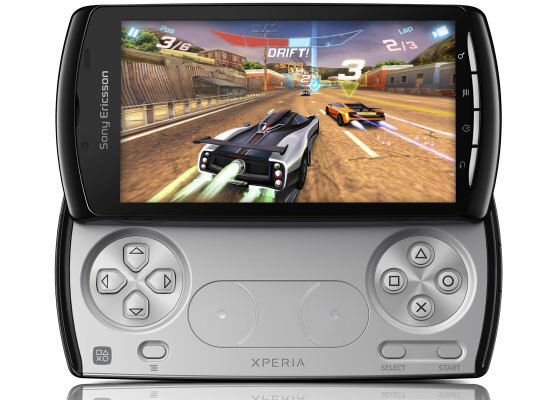 Xperia Ray. I'd read that it was a good entry-level smartphone - this is my first smartphone - and I'm quite happy with it. Bit small though. Nokia Lumia 820 - it's a nice understated phone running Windows Phone 8. Good to keep around for the Xbox Live exclusives but the library of incoming games isn't as exciting as it was two years ago when Windows Phone 7 was about (where you'd get titles from Big Bang Mini! developer Arkedo studios, a bunch of Microsoft Studios indie game partnership efforts and some DSiWare ports). I do miss my old Palm Pre (well, HP Pre3) though. Selling it was one of my biggest mistakes. An iPhone 4S. I probably don't use it as well as I should but now it's got Final Fantasy II on it, it sees a lot more action. I have a (now rather retro) BlackBerry Bold 2. Had if for almost three years now, and the web browser was admittedly rubbish when it was new. It's a little tank of a phone, though, and it's superb for the millions of emails/text messages I send from it. That little keyboard puts any touchscreen keyboard to shame. I had an iPhone 3G for two years, and in all honesty I thought it was a shambolic device. Prone to crashing, freezing, and generally being very veeery slow and frustrating. Ironically, it performs much better as an iPod Touch, which it's been reduced to since I bought my Bold 2 in July 2010. I'd love the new BlackBerry Q10 that's due out soon, but I really don't need a new phone until this one packs in. Currently have a Samsung Galaxy S3, lovely little (it's not that little really) phone that does it all really and does it well, I don't use it for gaming though, that duty goes to my iPod. Note: I don't actually use these phones for gaming. I consider it a waste of battery when I have better devices for that same purpose. I have a Nexus 4. Brilliant device. I bought a BlackBerry Z10 recently after a huge price cut. BlackBerry 10 is amazing, with a UI heavily inspired by webOS (card-like multitasking that's part of the home screen, menus that cascade) and its QNX core means apps really interact with each other in great ways. It's how I imagined webOS to perform on good hardware, too, with silky smooth scrolling and fast performance across the board. And the Z10's hardware is excellent. Particularly the screen, which has great colour reproduction, a nice aspect ratio (15:10, 1280 x 768 resolution) and high brightness (the highest in any smartphone, so has good outdoor visibility) as well as build quality. Colour me impressed. BlackBerry did good. WebOS was a good design, but ultimately flawed. I had a HP Touchpad. I was glad when Android borrowed the notifications and card thing from WebOS (but separate to the homescreen), then improved the notifications. I wouldn't really say the cards paradigm in webOS is similar in Android or even replicated in any sort of similar way, with the *only* similarity I can see being swiping thumbnails horizontally off the screen to quit them. This is given how the two handle multitasking and the way webOS works like OS X in that you can open several processes of the same app efficiently. The only OS to have approach things similarly is the BlackBerry PlayBook or BB10. iOS 7 has a similar look but the cards don't behave in the same way either, with the physics not feeling right, and your swipes not snapping your view to the next available card. I'm surprised at how much polish the multitasking view lacks. On webOS on my Palm Pre 3 I could use the gesture area to change between cards instantly, I could stack cards, and webOS didn't run each app as a single process, so I could have my emails open in one card but an email I'm replying to in another card. Likewise, webOS opened each browser tab as a single card as well. I've also used an HP TouchPad for an extended period of time, but I've always been far more fond of the phone version of webOS (like Android they were two separate versions until they were merged for Android 4.0) since the TouchPad was missing a gesture area and keyboard. Just Type on the Pre3 was amazing with a keyboard, since you could literally type someone's name and call them by pressing enter. But yes, I too were glad at how Android gained a tasteful user interface for honeycomb. Unsurprising, though, since Matias Duarte, the head of UI design at Palm, left for Google after HP bought Palm out. Agreed that webOS was ultimately flawed on the tablet, since it was left to die shortly after launch after Leo Apotheker killed off Palm. I thought webOS 2.2 on the phones was amazing though. I still don't believe webOS's UI has been matched yet, and it was way ahead of its time (2009). Now I have a light blue iPhone 5C! It's a reasonable upgrade from my old 4S, which was holding charge for 6-8 hours before it went. I was thinking about a Samsung phone but decided to stick with old Apple. I've had an HTC One since the summer - good piece of kit. I changed from an S3 recently (it basically kept turning itself off because I kept dropping it) to the even larger Note 2, now normal size phones don't feel right to me. Nice! I was tempted to get an iPhone 5C myself, though I didn't really need a new phone! I'll probably get an iPhone 6, by then I'd have gone full circle around the smartphone operating system chain: iOS to webOS to Windows Phone 7 to Windows Phone 8 to BB10 to Android back to iOS. I think iOS offers the best of what I want, it's just a shame there's tradeoffs between all the operating systems though. As of yesterday, I am the owner of an iPhone 6! I've failed to upload everything from my 5C - stupid inability to back up to the iCloud - but the novelty factor of it holding charge has yet to wear off, and the monthly payments are cheaper than the previous one. Hooray and hurrah! I have a Samsung Galaxy 4, but when the contract expired I didn't bother to renew it. I very rarely make phone calls or send texts, and for everything else I can make do with wifi. Why pay £30 a month to give other people an extra way to hassle me? But then I started fancying a girl who isn't on facebook or any of that, and she wanted to text me. So I bought a cheap Nokia for a tenner, which I use for those times where one absolutely needs a phone, and I carry both that and my Samsung, which is essentially now a small tablet. Why do people hate Android, I thought it was more common to hate Apple? Personally, I've never owned an Apple device ever since the iPod came about and made users use iTunes, a system I've seen many lose all of their music to, as well as crappy sound output quality. Have used Creative Zens, Sony MP3 Walkmans, Samsung Galaxy smartphones and always prefer to go for the system that's cheap but high-quality. I'm the same with headphones and always choose Sennheisers or Sonys over Beats by Dre, as there's no difference other than a whopping premium for the brand, which Apple inevitably has. Come to think of it, Nintendo is probably the only brand I'm loyal to. I have a Walkman myself and it's really good yeah, shame I lost it a few days ago and cannot find it anywhere in the house.